New car registrations have fallen for the second consecutive month, for the first time in four years. 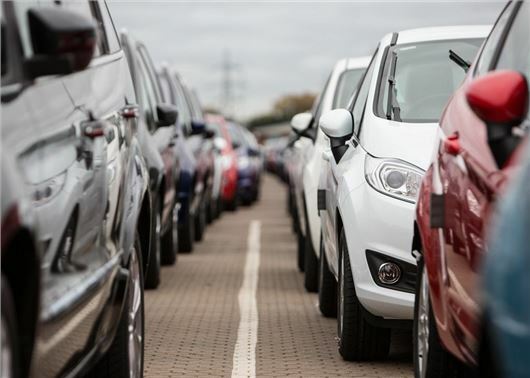 According to the latest figures from the Society of Motor Manufacturers and Traders (SMMT), UK demand for new cars was down by 8.5 per cent in May, compared to the same month in 2016, which dragged down annual growth by 0.6 per cent. More than 1.1 million new cars have been registered in the UK so far in 2017, but the latest results will worry some quarters with dealers selling almost 20,000 fewer cars in May compared to 2016. The disappointing numbers follow a tough April, when the number of new cars sold fell by almost 20 per cent, compared to the same month in 2016. "The general election was always likely to give many pause for thought and affect purchasing patterns in the short term," said Mike Hawes, chief executive of the SMMT. "Although demand has fallen, it’s important to remember that the market remains at a very high level and, with a raft of new models packed with the latest low emission and connected technology coming to market this summer, we expect the market to remain strong over the year," added Hawes. However, while the SMMT is predicting the market to rebound in the second half of 2017, others are not so positive. Indeed, in May alone, registrations of diesel-powered cars fell by 20 per cent and according to Shaun Armstrong of car finance provider Creditplus.co.uk May's registrations figures are marking the beginning of the end for diesel cars. "The impact of the General Election on new car registrations isn't the headline here, it's the decimation of diesel," said Armstrong. "Buyers are ditching diesels in their droves and it's hard to see how diesel can recover from what feels like a mortal blow. There is so much negative press around diesel at the moment - with proposals to introduce a toxin tax and the Government planning to launch a car scrappage scheme - it's difficult to see anyone choosing diesel over petrol and AFVs right now." Choosing diesel new; other than for towing vehicles, Lorries Tractors and Buses is absolutely Irresponsible . Manufacturers have invested heavily in New Euro 6 diesel technology but Nitrous Oxide still kills if it is disgorged in large quantities . Just as it has been since we started buying 50% of our cars using Diesel . opting for the Diesel Path to lower CO2 . so badly!! The Motor manufacturers and Motoring Media also have a lot to answer to . okay .But some of the Media printed some of the Extensive Research that had pointed out that Diesel was a very carcinogenic fuel to use in volume . Every Diesel Fuel pump should be fitted with a severe health warning . Petrol and far more propellants for personal transport .